This weekend was the UKA Show at Dig It on Saturday and their Can You Dig It? Unaffiliated Show on Sunday. It was so so hot! I was a little concerned about Guinness as he has got a thick coat but he didn’t seem too phased during his runs or in general. It was our first show with my new tailgate and it was a life saver. I had all of the windows down in the car and a blanket draped over the sides where the sun was coming in to give shade. I kept checking the car and was pleased to find it was cooler inside than being outside in the shade. On Saturday we had a success of 3 Eliminated. Agility we got 6 weaves on 3rd attempt which wasn’t bad considering he’s not weaving in courses during training yet however he flew off the seesaw before it even begun to dip! Such a shock as his seesaws have been perfect so far but obviously something changed. I opted to carry on rather than put him back over but the run went a bit to pot. Jumping had 12 weaves so we had 3 failed attempts then carried on without. He got halfway through on 2nd attempt and probably would have completed but I hung back too far and he popped out to come find me. Steeplechase was a disappointment as it was a nice flowing course which we were running well, until at a wing wrap I left it too long to call him round to not risk him knocking a pole and instead he jumped back over. Damn it. Gotta go for speed and risk poles instead of safety cautious approach I think. Steeplechase II fell into place lovely with a fantastic clear round and 1ST PLACE! Gosh 12 points for us! Our first UKA points and can’t believe it was a win. The run was so good and our time was great. Everything just fell into place. On Sunday we got a handful of Eliminations and low placements. 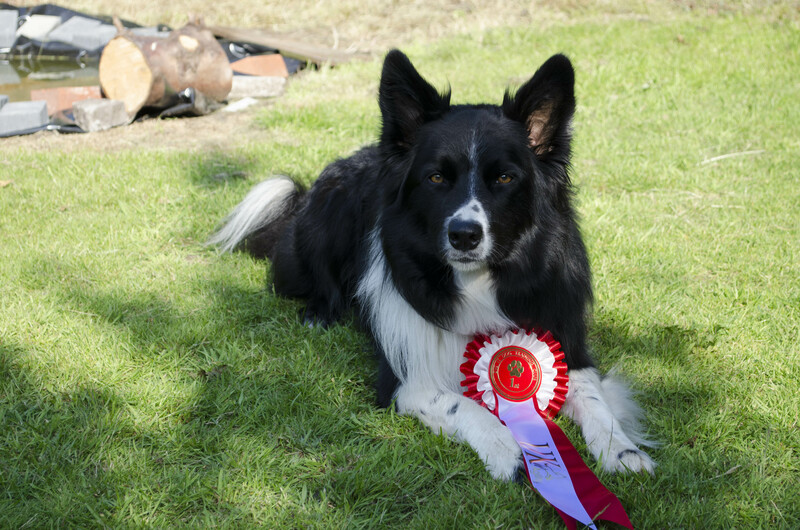 Agility – 4th with 10 faults and we used our 2nd run for NFC. Guinness did some good tugs after contacts and tricky parts and remembered what his contacts were this time so very pleasing. Jumping – 9th with 15 faults. He broke his wait on our first run so I put him back for an elimination. He didn’t move a muscle for our second run! This course was very tight with lots of 90 and 180 degree turns so we had quite a few poles. I think we need to learn how to shorten his stride as he was landing right in front of the next jump when he needed to turn. Steeplechase 10th with 15 faults, lots of poles down. A mixed bag of a weekend, many eliminations and bad runs but then a stunning win! Guinness’ times are fast enough and some pleasing run, however we’ve got lots to work on! Hi everyone, it’s my first go to see at this web site, and article is really fruitful in favor of me, keep up posting these posts.